Collaborating with pioneering video artist Angie Eng, Sean will accompany her revelatory animations using synths, electronics, and the Center for Musical Arts’ grand piano. Using some of the newest technology – highly intensive digital signal processing – to examine some of the oldest technology in existence – geometry – will not only make you reflect on where we’ve been and where we might be going; it will hopefully make you ponder exactly where you are right at that very moment. 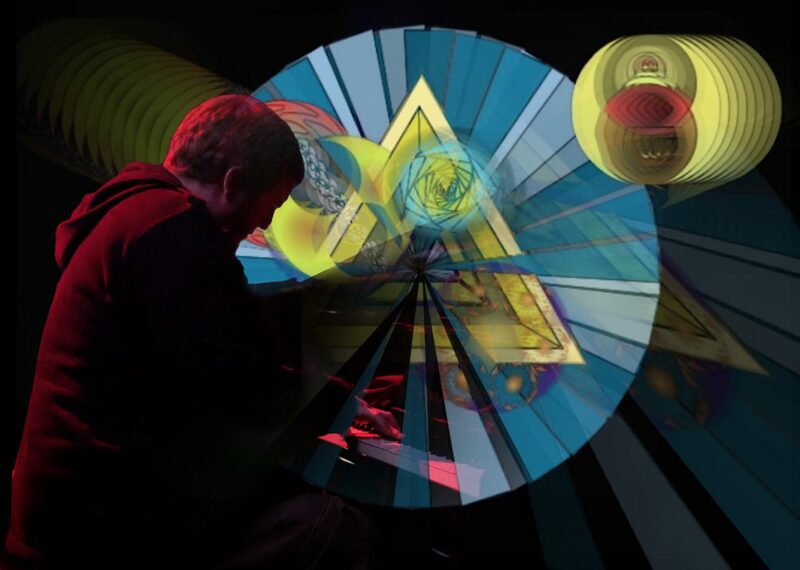 Sean Winters is an audiovisual artist, multi-instrumentalist, composer, producer, and hacker/technologist who’s lived and performed in cities and venues around the world including Jerusalem, NYC, Montréal, and Amsterdam. 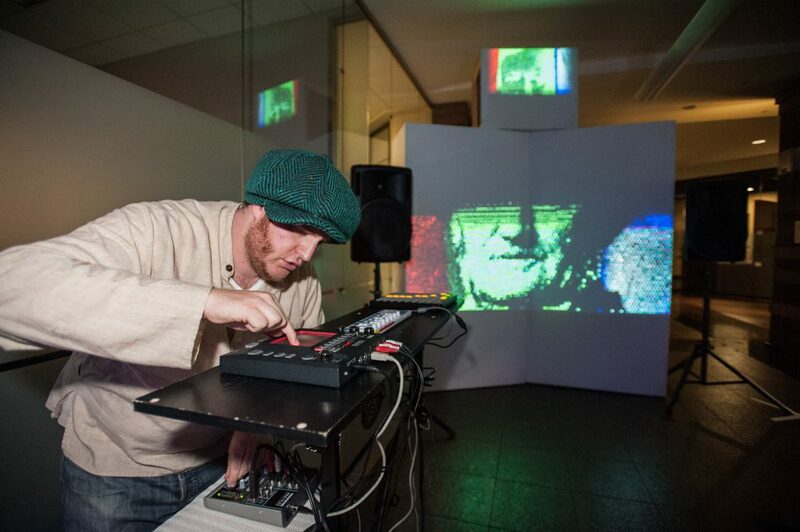 As an audiovisual artist, he’s produced large-scale live cinema ‘happenings’ during multiple extended residencies at STEIM, collaborated on big projects that’ve involved projection mapping and 3D video, and performed extended solo a/v ‘re-smashes’ and ‘glitch-pound’ sets (highlights include working with Angie Eng, Todd Reynolds and Luke Dubois, and performing both music and video with Ikue Mori and Zeena Parkins at Roulette in Brooklyn). 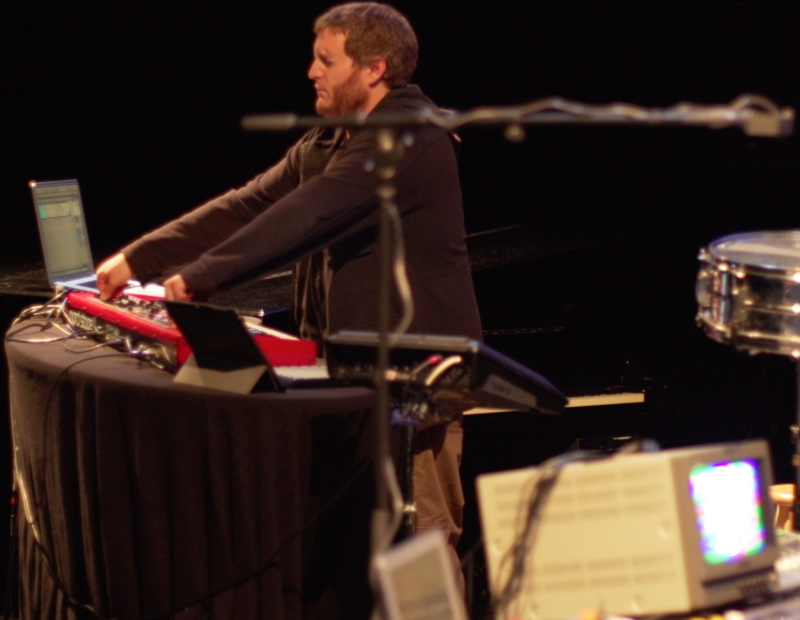 As an instrumentalist, Sean has played with countless groups running the gamut stylistically from free jazz and contemporary classical to afrobeat and live future bass (highlights include headlining at the Montreal Jazz Festival, Chicago’s Millennium Park, and the Italian Palace in Tangier, Morocco).